Now that nearly a month straight of facilitating workshops for teachers, teaching students arts-integrated lessons and creating new, arts-integrated curriculum is over, I can finally sit back and reflect on my amazing experiences. 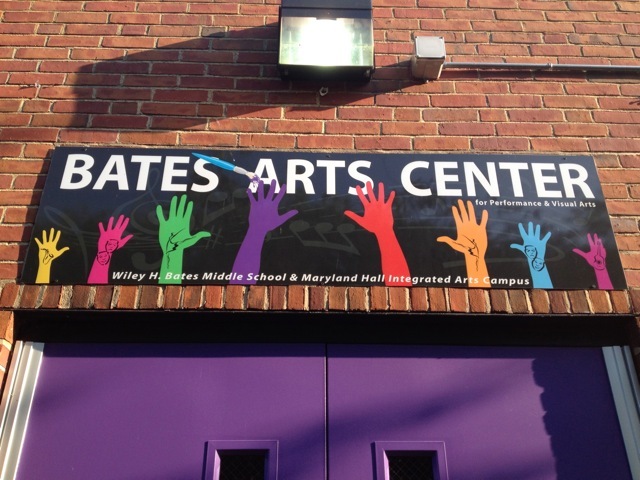 My first stop on this epic summer journey was Bates Middle School is Annapolis, MD. 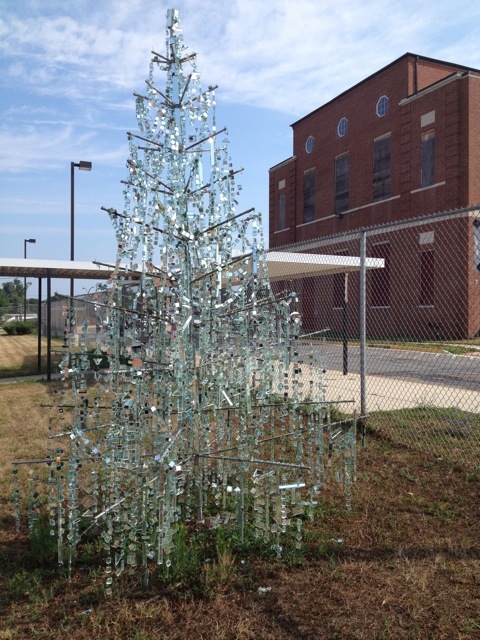 It was here that I was tasked with delivering two 2-hour arts-integrated workshops to five different groups of Anne Arundel County public school teachers. That’s 20 hours of workshopping in four days. But believe or not, the energy level seemed to build each day, not diminish. These teachers were awesome, fired up and committed to using arts-integration in their classrooms. 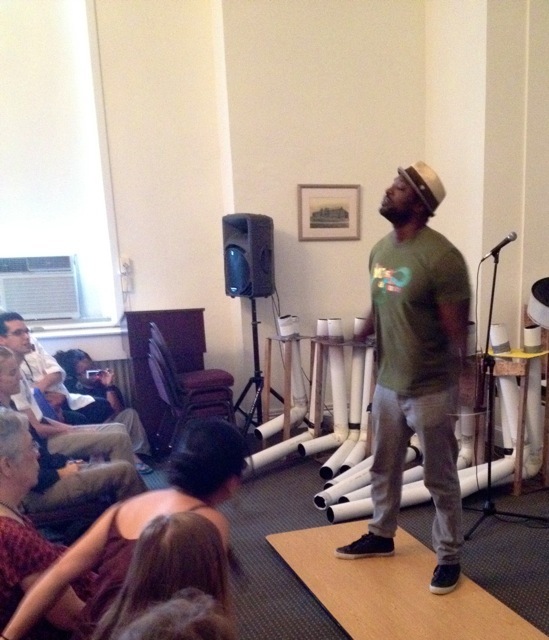 My workshops were both part of a larger objective: group composition using beatboxing and rapping. We integrated music, math and language arts in the process. The first workshop focused mainly on beatboxing techniques, elements of music, and arranging a layered composition. Each teacher became a human instrument and layer of sound in the context of the composition. It was so fulfilling to watch the teachers work and learn together knowing that, upon their return to their schools, they would bring this experience to their students. The second workshop built upon the first, and introduced the art of rapping into the mix. Using research on animal life histories as a text resource, participants then used a rap web to get their ideas on paper, followed by a rap organizer to help them perfect the rhythm of the rap. When they added it to their beatboxing, the particpants’ raps came to life! This activity is a great example of how integrating the arts with content area objectives can motivate students and create learning products that are meaningful to the learners involved. It was evident that the 8X11″ info sheets on sea turtles and bats became far more than lines of text when viewed through a musical lens. The last day at Bates was one I will not soon forget. As the workshops were concluded, we all met in the adjacent Ballet Theatre of MD building for a presentation by all the resident teaching artists along with special guest Kwame Opare. We hoped to leave the teachers with a special performance of our various art forms as a final inspiration to set them on their path as arts-integrators. Multi-disciplinary artist Ali Oliver-Krueger entranced the teachers with her telling of a traditional Japanese tale of sea monsters and bravery in the face of terror. Theatre artist Dr. Janet Rubin gave the audience a front row view of the direction process in real time. Dancer Kwame Opare demonstrated a hands and feet rhythm and taught the teachers how to do it as well. Then Kwame, along with steel pan builder and musician Kevin Martin and I performed an excerpt from our G.R.O.W (Great Recycled Orchestra Workshop) show with workshop participants joining us on steel pans. 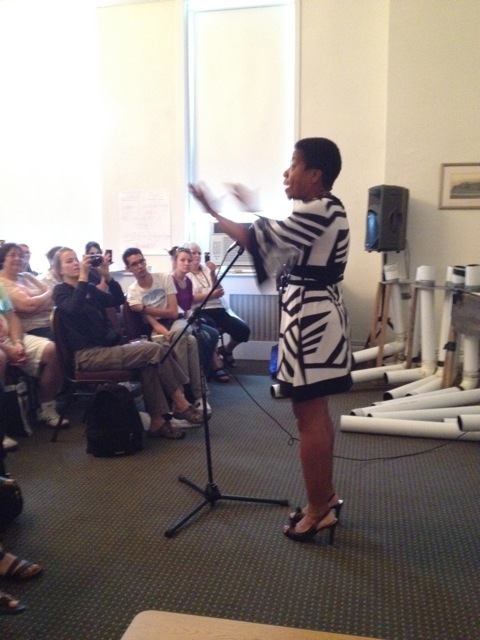 The performance culminated with slam poet Gayle Danley, as usual, stealing the show with her gripping live performance of a few of her poems, during which Kwame, Kevin and I provided musical accompaniment. The teachers were extremely moved and I believe the performance proved to be a strong motivating force!